This is my favorite room so far. 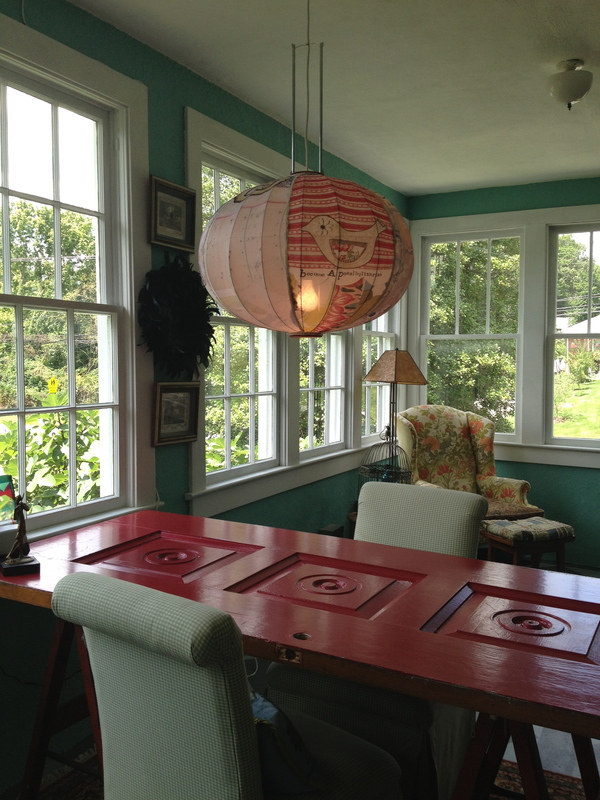 I love the lampshade. You need to tell me where you got it. 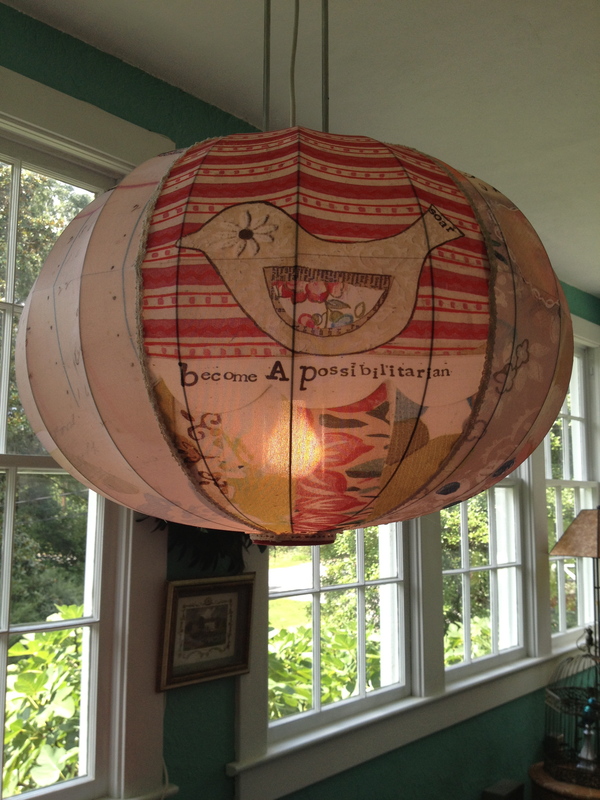 I got this lampshade in Lynchburg, at a store called “Urban Merchant.” The same store where Margo the dog works. They had two different shapes. A wide one, and a tall, skinny one. Thanks, Mother Pela! 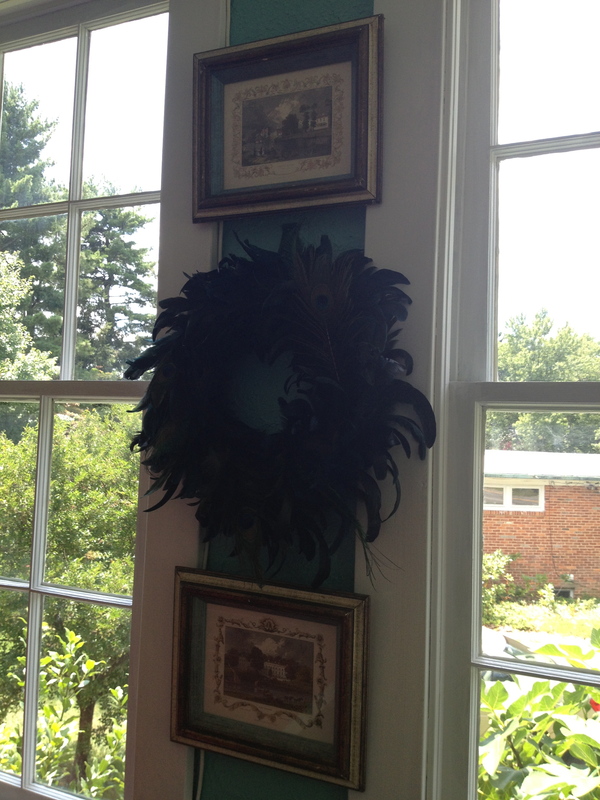 It is a lovely room, filled with sunshine, and I admit to reading in the chair more than working at the desk. 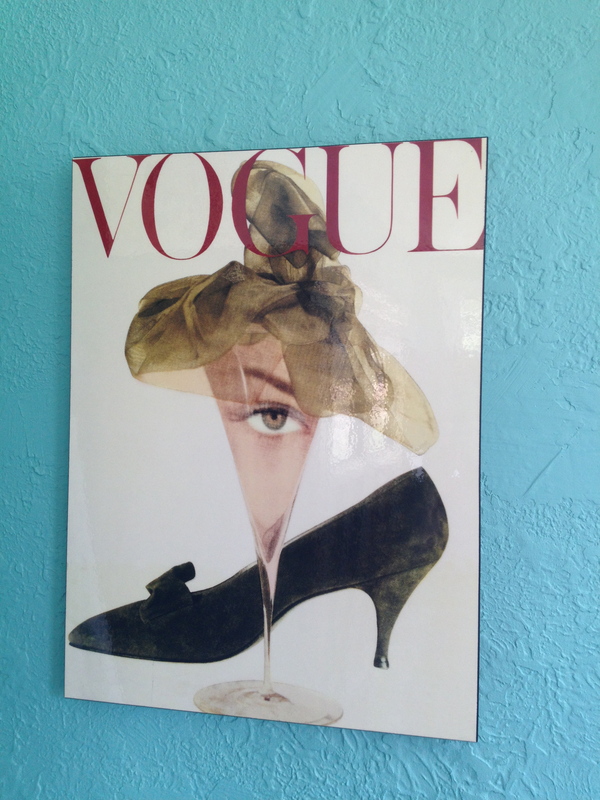 I have always loved the art opposite the vogue piece. Those geometric colors make me happy. I think happiness leads to being a possibilitarian…or is it the other way round? Oh, one more thing…. The geometric art is titled “The Flute Player,” and signed to me by a dear artist friend. 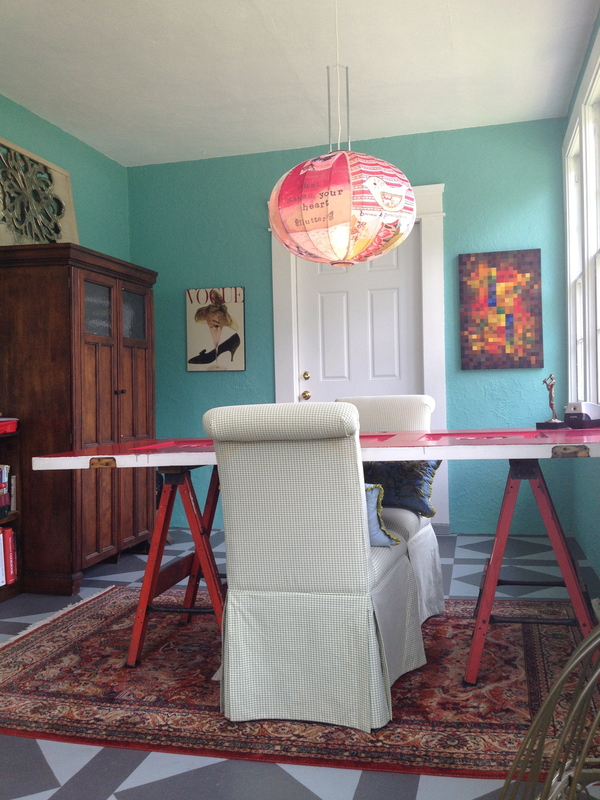 I love it too and as an abstract, it has brought life to every space I’ve had it in!